I finally made it to the dark side to try The Canteen, and it was oh so good. 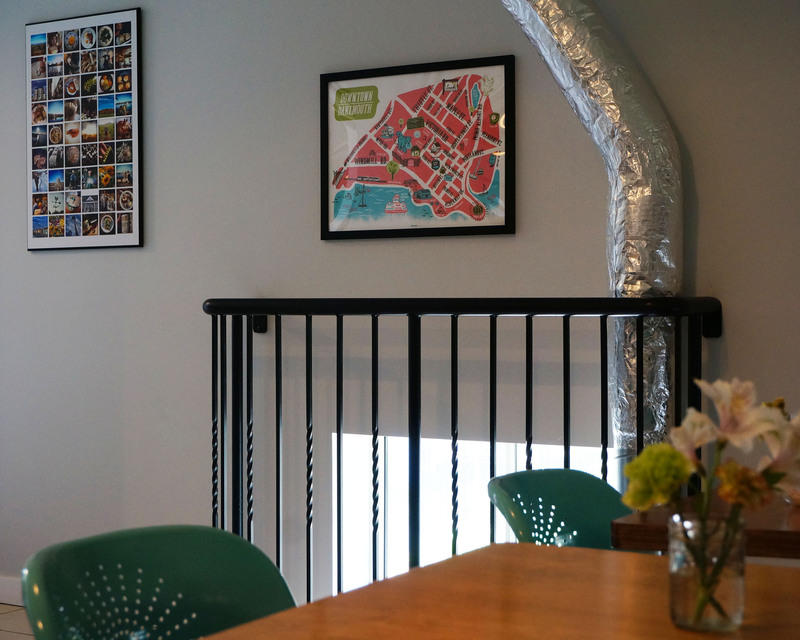 Located in the lofty space above Two If By Sea in Dartmouth, it’s only a small climb up the stairs to the bright and airy home of The Canteen Sandwich Shop. The restaurant is simply decorated with bright turquoise chairs, light wooden tables, and funky art on the walls; I felt immediately at home. With the menu changing daily, a visit to this place could never be dull. The bread and butter of the shop is sandwiches, but they also have a selection of salads, soups, and sweets to compliment the main event. From kale salad to potato chips, they have got you covered. The Canteen also offers a daily ‘Take Home Meal’ Tuesday to Friday afternoons that could be anything from roasted chicken with rice & beans to miso bowls with beef that you can bring home and enjoy at the dinner table or in the park. 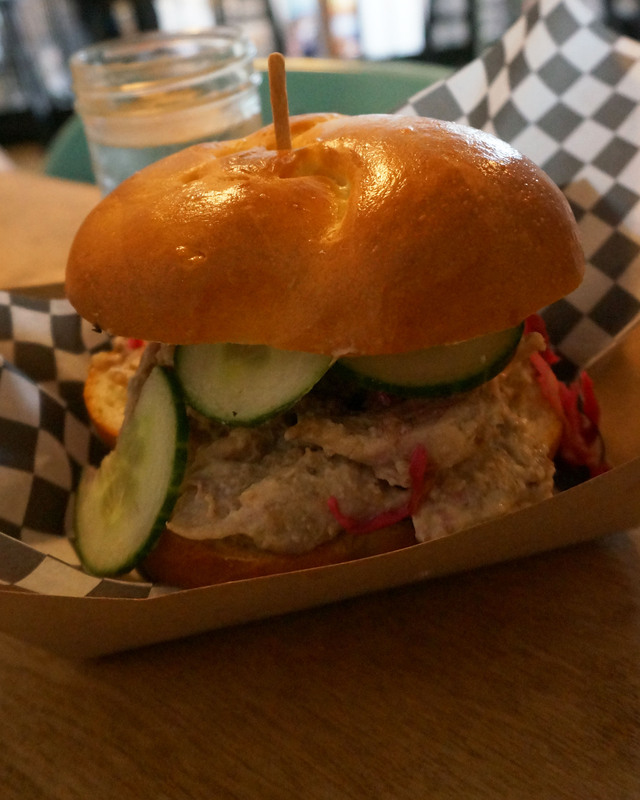 On my first visit I sampled the chicken selection of the day, which was a jerk chicken salad sandwich (9.50$). The crunchy cucumber and the pickled onions were a fresh addition to a classic sandwich and the bun was fresh but made eating a little messy, but hey, that’s part and parcel to digging into a good sandwich, right? My dining partner in crime Erin, chose the veggie sandwich option (9$) with lots of local veggies and creamy brie. Equally as awesome as mine, with soft grainy bread and yummy sauce, this veg sandwich is far from boring. 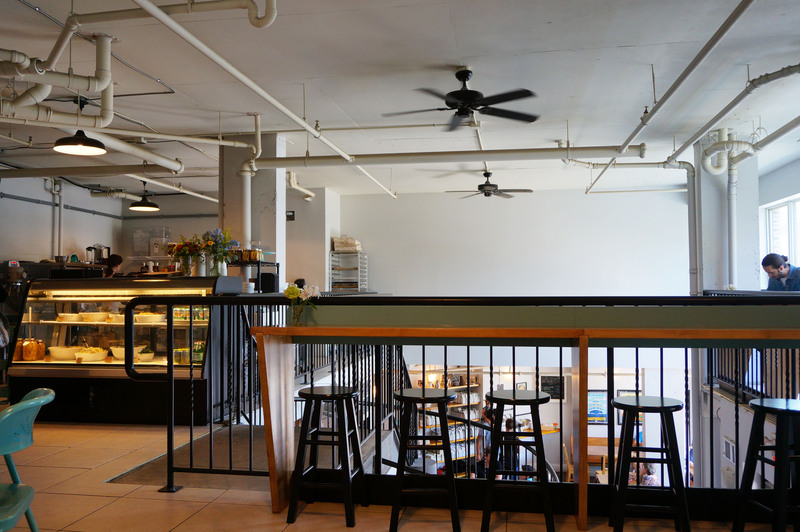 The Canteen features local ingredients, fresh produce, and a great take on the classic sandwich shop. 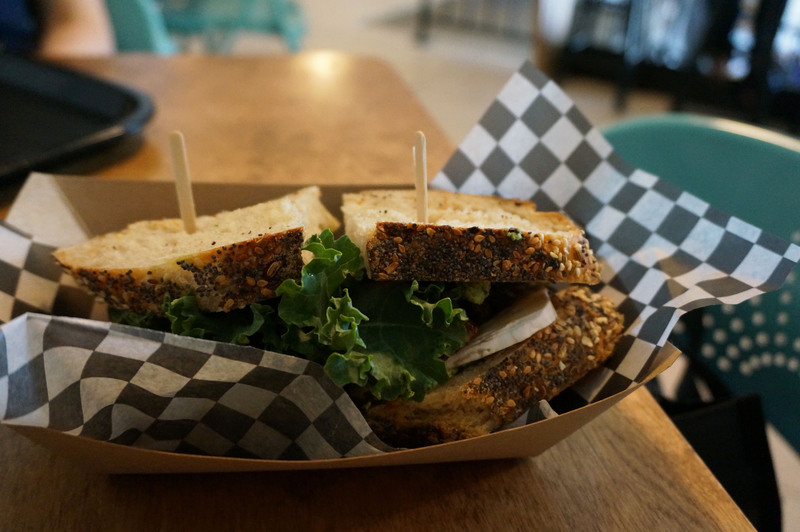 Though slightly pricier than your average sandwich, the cost is well worth it for above-average quality ingredients and fresh breads. The simplicity and whole hearted nature of this place is comfortable, enjoyable, and delicious, and most definitely worth the ferry ride over to Dartmouth for lunch. My work is so close to The Canteen, I’m tempted to go everyday! Their veggie sandwiches are the best, always delicious.